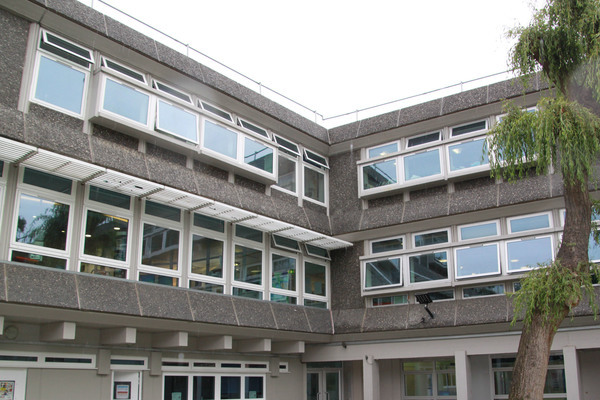 An important example of 1960s comprehensive school design in the Brutalist style. 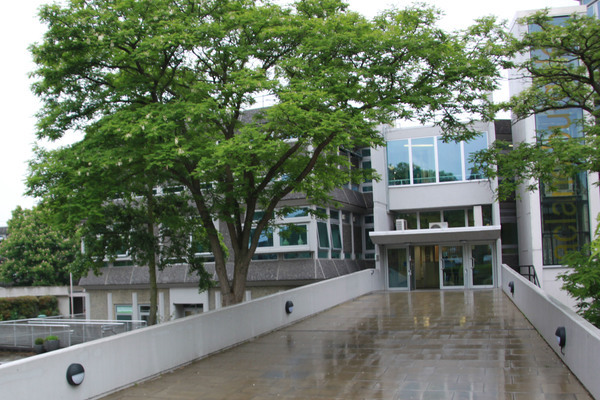 Acland Burghley has recently celebrated its 50th anniversary and a Grade II listing. Acland Burghley School, Camden, 1963-7 by Howell, Killick, Partridge & Amis, is listed at Grade II status. - Architectural interest: the design’s bold elevational treatment and skilful handling of pre-cast concrete components and their finishes confer a strong aesthetic while respecting the wider Victorian townscape. - The jewel-like, top-lit assembly hall is a particularly notable feature where the use of timber and concrete gives a rich texture. - Plan-form: the innovative plan, comprising three towers radiating from a central administration core with the linked assembly hall, remains relevant and fit for purpose, affording permeability and appropriate levels of accessibility combined with practical and humane functioning spaces. 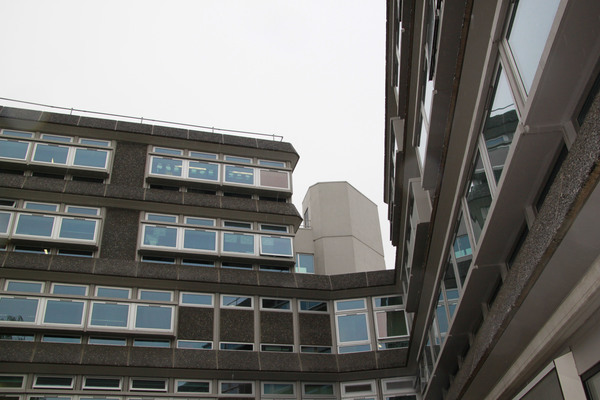 - Architects: Howell, Killick, Partridge and Amis were one of the country’s foremost post-war architectural practices with a number of listed educational buildings to their name. 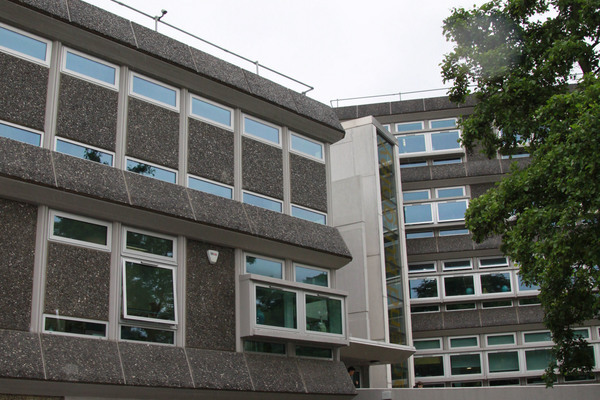 - Historic Interest: the London County Council was at the forefront of innovative architectural approaches to the design of non-selective secondary schools. 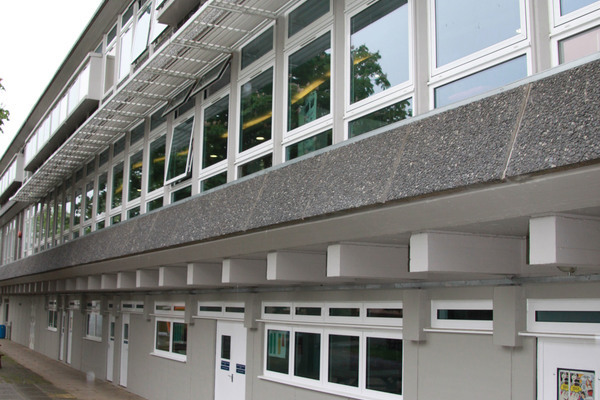 Acland Burghley favourably compares with the listed Lilian Baylis and Haggerston Schools, and is a good example of a school commissioned from well-regarded architects during this formative period. 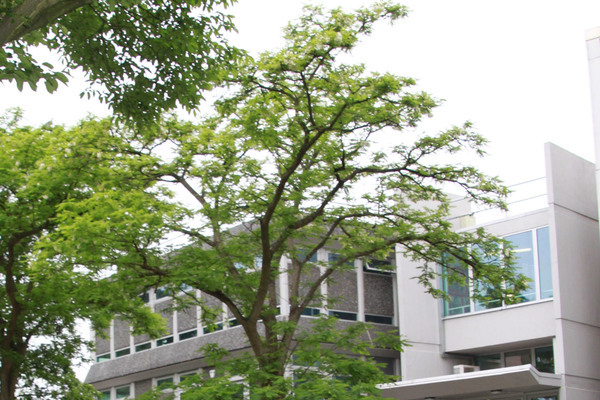 We love our school, but we know that it could look a lot better from the outside – plus our assembly hall could be a much better performance space. 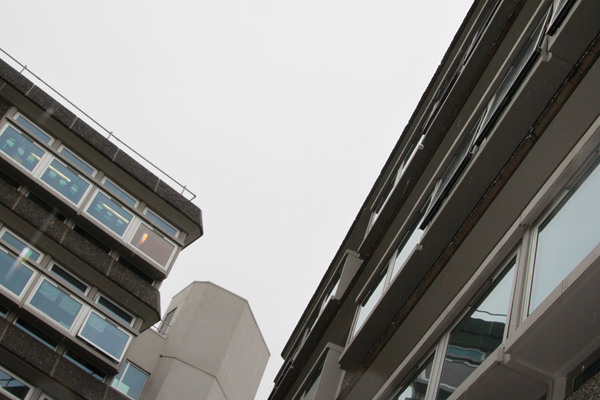 So we have set up the Acland Burghley Better Spaces project – ABBS for short. It kicked off in earnest in 2016 to mark the school’s 50th anniversary. 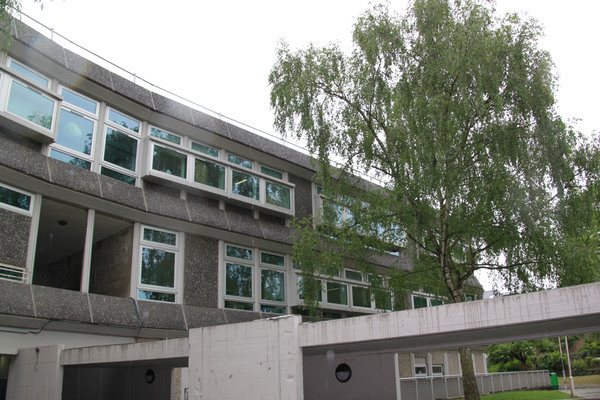 We would like to make our Brutalist building look as friendly on the outside as our school is on the inside, and whilst respecting its architecture – but we need money to do it! We gave ourselves a year to raise as much money as possible to make the grounds greener; and have a longer term fund-raising project to make the assembly hall the great performance space it was intended to be.